Tapenade is a purée of olives either black or green, crushed with a mortar and pestle and mixed with garlic, capers and anchovies. 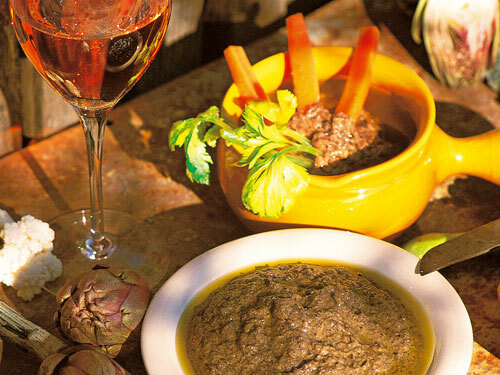 It can be eaten simply with a slice of grilled bread, or served as an accompaniment to fish or meat and decorate or season summer salads.Anchoïade is an anchovy and garlic purée. 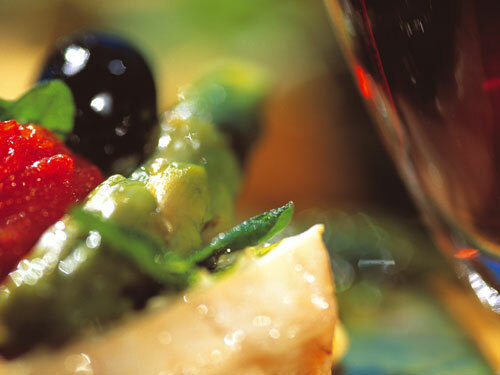 It is usually served on toast or with raw vegetables The recipe varies from region to region. A crisp, golden onion, anchovy and olive pizza . A very popular treat, appreciated by everyone. 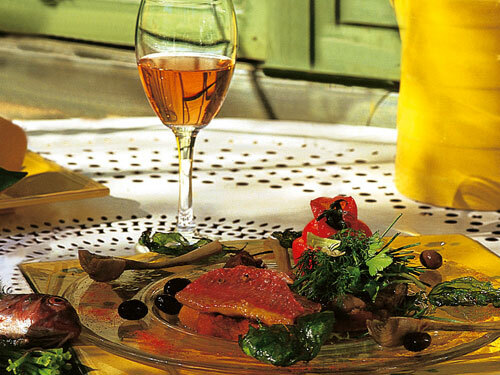 A colourful salad of fried, red Mediterranean mullet with peppers and cherry tomatoes. 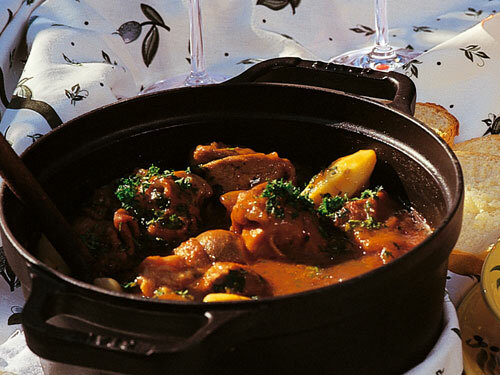 Classic French stew, perfect for cold weather. Pieces of beef slowly braised with red wine, onions, herbs and garlic, served with fresh pasta. 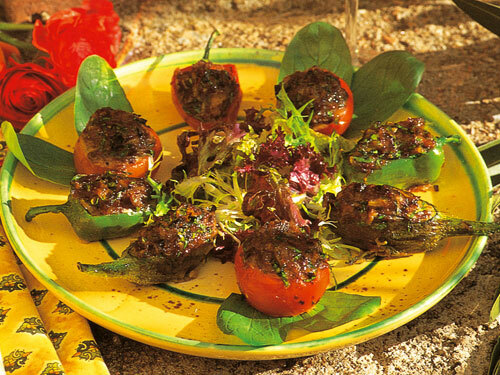 The vegetables typically 'farcied' (stuffed) in Provence are aubergines, courgette, onion, peppers and tomatoes and sometimes potatoes, stuffed with seasoned minced meat and slowly oven-cooked. A traditional garlic sauce. 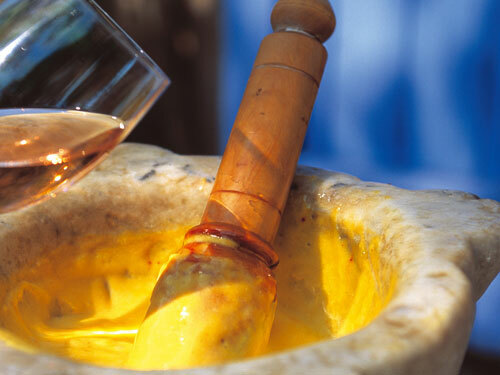 The garlic is crushed with a morter and pestle, whilst slowly adding the olive oil which makes this typical garlic sauce. Used to accompany boiled eggs, fish and vegetables (potatoes, carrots, green beans and cauliflower).